I thought about posting this as a response to Ray's post on Idolminded as an Idol Thought for the day, and then decided that that might be a cheap shot (haha, no idea how) and decided to write it here instead, because hey, I can let loose... Not that I really can let loose too much on this sort of topic, because Ray himself explains it magnificently in his post and I'm basically retelling it, just with my own words and experiences. But it's not just Ray's post that makes me want to write this; I've been thinking about it a lot lately, what makes me the Wota I am today, and after reading Ray's post about his own Fandoms preparing him for being a Wota shed a little more light on how I have also mentally prepared myself for being a Wota, or at least, how my childhood prepared me. The start of my geekiness, or at least my inner nerd, was awakened through my siblings; my younger sister and I are the babies of the family, so when we were a lot younger we naturally followed our older siblings around and basically copied them, trying to be like them. One of the things that they did avidly was play video games, the four most prominent being Super Mario Bros, Tekken 3, Street Fighter II and Sonic the Hedgehog. Of course there were other games that my sister and I weren't allowed to play, one being Silent Hill, but the four games I have exampled were the ones that we played religiously as children and the ones that stick in my mind mostly whenever I think back to playing games as a child. Of course there were other games, Final Fantasy VII being a prominent one that I clearly remember my older sister playing as me and my sister watched, but my sister and I really only played on the NES and original Playstation at that point, and games like FF were a bit too lengthy and heavy on the writing for us to really want to play it. Thinking about it now, I actually don't recall if any of my female friends really played these games when I was younger. Then again it was the 90's, and most of my friends liked Barbie and the Bubblegum Kids franchise, as did I, but I don't recall talking about console games or anything with my friends. Another game that became a big part of my life, though a lot later, was Kingdom Hearts; when my sister and I had just moved we were heavily into that game to the point where we were both obsessed and enchanted by it. 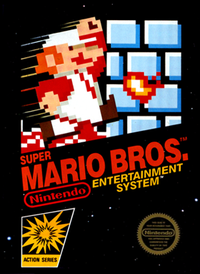 I remember playing that game nearly everyday, trying my hardest to beat the damn bosses. It was great obsessing over something and making friends through that game, and honestly, I really wish that I could just find a PS2 and start playing again because damn, KH2 is an amazing game. 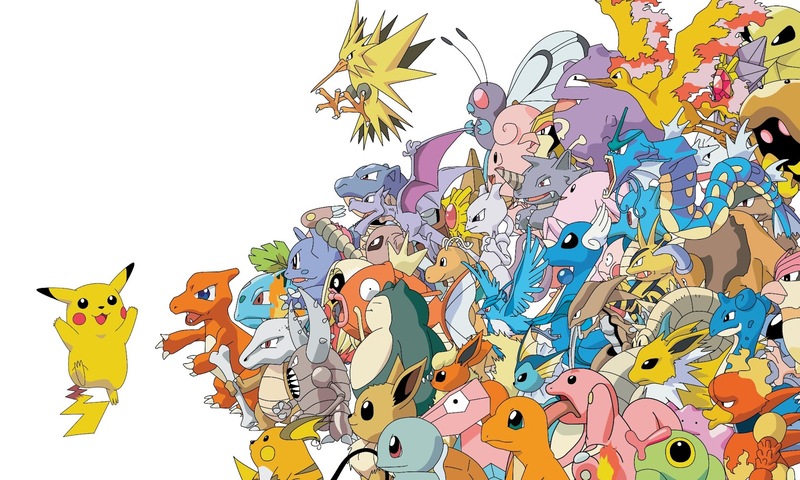 Then there was Pokemon; currently this is still a large part of my life, though it wasn't always so prominent because I actually didn't start caring about it fully until I was a little older, however this was the 90's, and every kid either had a deck of Pokemon cards or a tamagotchi on them, and in my case, I had a deck of Pokemon cards. This further enhanced my nerd levels I think (more so later on in life) and also helped me to learn how to, in no better words than what I am about to use, collect them all and become completely obsessed with collecting things and basically showing off just how much Nerd I have for a certain thing. Later on in life Pokemon of course became more prominent; I actually have more to do with Pokemon now than I did as a child. I have plushies, cards, marbles, magazines, a Pikachu mask, a game of Pokemon Yahtzee Jr and probably a lot more that I don't remember ever getting, and honestly that has increased my Nerd more than anything, and is one of the things that I think really helped me to prepare myself for being a Wota. 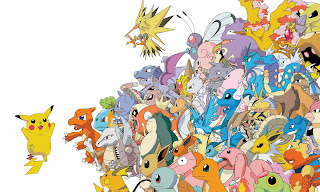 Where childhood games with my siblings helped me to understand the joys of enjoying something so amazing, Pokemon pretty much allowed me to prepare myself for a future of people never understanding just why I was into this sort of stuff and also for being ridiculed because of it, something which I am more than accustomed to today, I guess. And then there was Anime and Manga, the obsession before Idols; Anime and Manga came about in my early teen years, a time when I was actually obsessed with cartoons such as Xiaolin Showdown and Teen Titans already, but also a time where me and my sister were a little more distant with each other to the point where we didn't talk much. I was 13 at that point, and I wasn't playing games or into Pokemon; I was actually doing regular, girly stuff that normal teenagers did like throwing tantrums and oogle over boys or the boy band Busted. Of course it changed (not the tantrums) when my younger sister introduced me to Anime by asking me if I remembered childhood shows such as Dragon Ball Z, Sailor Moon, Pokemon or Digimon. We then watched Fruits Basket, an Anime and Manga that her friends had introduced her to, and basically from there I became a major anime/manga fan. 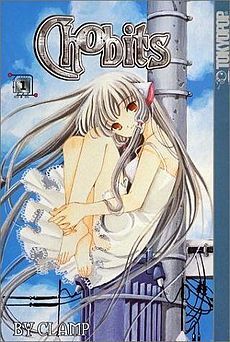 My older sister actually helped my sister and I with our obsession early on into our fandom; she bought us our first manga books, one of which was Chobits, and basically aided us in our interests. Of course after that our love for Anime and Manga grew well into our teen years and allowed us to gain a good amount of friends with the same interests whilst also becoming our ultimate comfort during harder times, but it also allowed me and my younger sister to bond once again and become closer, something that I am extremely thankful for even till this day. 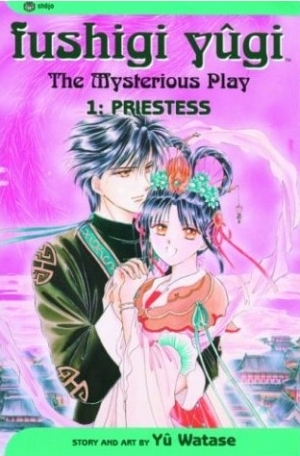 I can still remember pouring over my manga books religiously and avidly collecting series, with the first series that I ever completed being Fushigi Yuugi. It was wonderful reading each manga and taking in every detail, laughing or crying at whatever happened in the storyline and ultimately enjoying each experience with the more I read. I also had a fun little contest with my sister to see who could get the most manga, and during my time as a fan I won, however as my interest dwindled my sister has slowly caught up with me and now how more Manga books than I do, though I am still the reigning Queen in the fact that I have more completed series than she does. Thinking of Anime and Manga is actually one of my fonder memories, and that's because of what it has ultimately lead me to. Can you guess what it is? I was 16 when I first found out about Idols; it was the middle of 2009 and I had started a new Anime that included cute songs and a singing main character which ultimately served as a follow up to one of my favourite Anime's, Mermaid Melody. 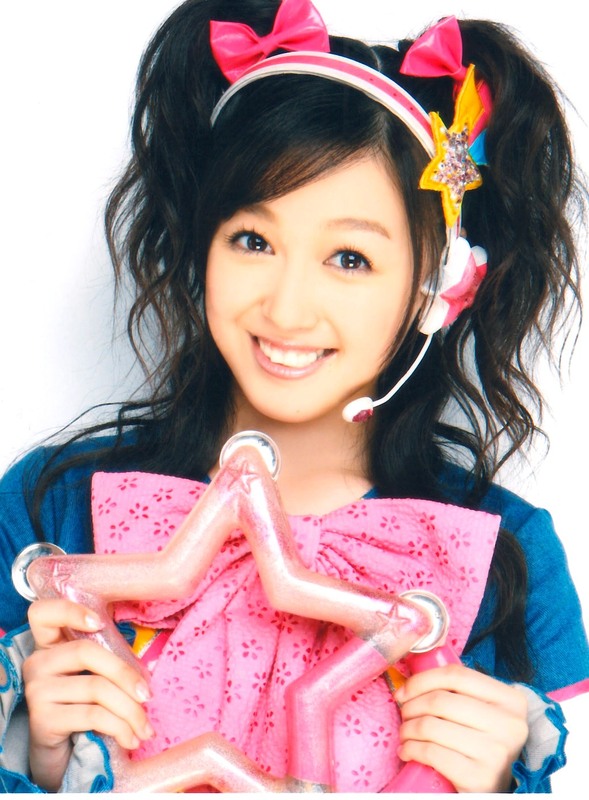 At that time I was heavily into anything cute that had songs in it that I could sing along to, and of course, being a fan of Kirarin Revolution ultimately lead me to PV's by the voice actress who also sung the same songs, Kusumi Koharu. Needless to say, I was enchanted, and did a bit of research on the girl where I also found out that she and Buono! were within a project together, because at the same time I was also an avid fan of Shugo Chara. Of course my interest in Koharu grew (Buono, for me, was not a patch on Koharu and her cuteness) and I found out about Morning Musume through this research, though it should be noted that in 2007-8 a friend of mine showed me and my sister a clip of Morning Musume performing Go Girl ~Koi no Victory~ and we totally blew it off and had no interest, and gained a little bit of interest them... and I mean very little. At that time my sole interest was Koharu and no one else, so when I found out about her graduation I was obviously gutted. As I have said before in another blog post or two, I was ready to leave the fandom of Morning Musume, but I was pulled back and brought back into it pretty quickly after watching the Cinderella Musical and harnessing a massive girl crush on Niigaki Risa, and that pretty much brings me where I am today as a fan. And you know what? I don't regret it, not one bit. Everything that I have been into has lead me to this point and made me the Wota that I am today; watching the Cinderella Musical introduced me to an amazing Idol group which I would have abandoned if I had not watched it for the sake of clinging to Koharu as much as I could, and becoming a fan over Pokemon, Anime and Manga and Kingdom Hearts allowed me to fully appreciate the nerdier things in life that people would have otherwise turned their noses at. I enjoyed being a fan of these things and knowing something that other people had no idea about, or learning new facts and information about something and telling other people with similar interests about it, and honestly, I still enjoy it; I may not be as knowledgeable in Anime, Manga or games like I used to be, but to know that I still harness that knowledge from my past makes me happy, and I am extremely thankful that I was able to experience these things at different points in my life, because it all allowed me to become the Wota that I am today. "- something compelled us to seek out the different, and from there we’d see other different sparkly things to enchant us, and so on. So what story do you have to tell?" 8 completed series not including oneshot manga. Nice post though, ultra sappy. So Chiima. How many you got now? What a nice story! Ah it's good to know that you're a Final Fantasy fan! Or at most, a female gamer ^__^ Pokémon is still a part of my life too! Awaiting X and Y, are you? Ah, you must have been gutted when Koharu left the same year you got more into Morning Musume. I don't think I noticed before that we are the same age O__O Or maybe I did and I forgot. I AM WAITING FOR X AND Y <3 I WANT THEM ;A; SYLVEON/NINFIA!! !